Age-Friendly Readfield was originally appointed as an ad hoc committee by the Select Board to explore age-friendly opportunities within the community, consisting of up to five individuals for one year. In 2017, the Committee became recognized as an important asset and was made into a permanent standing committee of the town. The Select Board unanimously passed the following motion; "The Readfield Select Board shall appoint an ad hoc committee for exploring age-friendly opportunities for our community consisting of up to five individuals for one year. The committee is charged with creating an inventory of possible desirable resources and services, identifying best methods to communicate the preceding to older citizens in our community, recommending future courses of action they deem desirable, and pursuing in conjunction with the town manager any grant offerings that may be available for assessment and/or implementation of age-friendly resources upon approval of the Select Board." The Committee expanded to include 5 appointed members, and 2 alternate members. Readfield received a Planning Grant from AARP which supported a needs assessment. Based on the results, an action plan was developed with both long term and short term actions. This Plan has been approved by AARP. The recommendations were also presented to the Select Board and Town Manager. We are a committee of citizens of the town appointed by the Select Board. Town of Readfield Public Works Dept. Town of Readfield Recreation Dept. Volunteers are at the heart of the work of Age-Friendly Readfield and will continue to be central in planning and implementing the activities and programs. There are no paid staff though some administrative support is provided by existing town staff. Age-Friendly Readfield has attended and held community meetings to increase awareness and engagement (for example, attending the Town Welcoming Social for new residents; serving on the planning committee that is organizing Readfield Heritage Days). We also write a monthly column for the local newspaper, the Readfield Messenger, as a way to inform the community of our initiative. The activities are included on the town website. Regularly attend meetings of local senior groups to keep them informed. AARP Planning Grant and a Challenge Grant, Municipal funding. American Red Cross donated smoke alarms. We are currently working with the City of Winthrop to explore a volunteer transportation program. 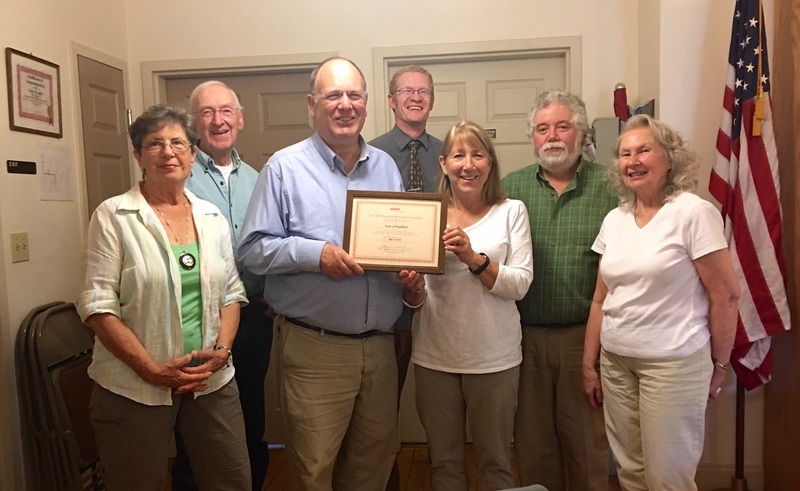 We also supported a grant application to the Maine Community Foundation, developed by the SEARCH program to implement a volunteer transportation program. Age-Friendly Readfield is working with Lafayette Masonic Lodge to offer a Handy Helper program. A men’s group from a local church group also provides volunteers to be handy helpers. Each winter a sand bucket program is offered to older and disabled residents who request them. We are also working with the American Red Cross to install smoke alarms in homes for people of any age or income who need them. One of our goals will be to raise awareness of recreational opportunities available in the community. Age-Friendly Readfield has recently put on a Pickleball demonstration. We are exploring how to make it an ongoing program for residents. We are thinking about making Pickleball a part of our Adult and Community Education Program. 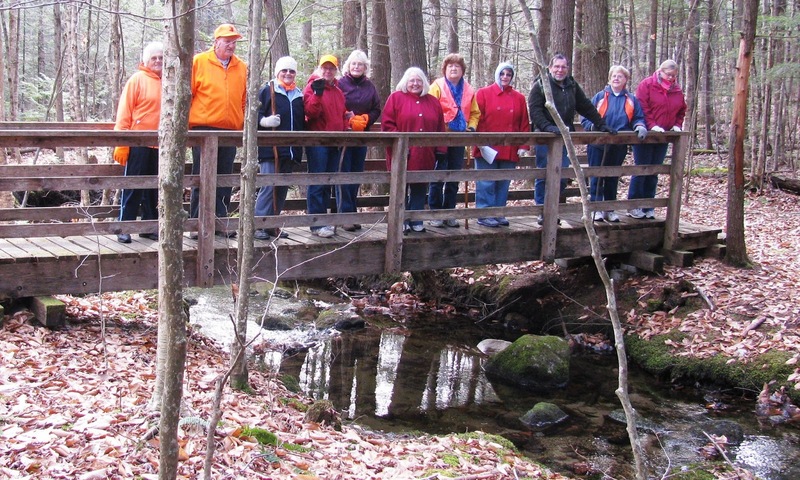 Age-Friendly Readfield also has a network of ADA accessible walking trails for residents to use. The Age Friendly Committee worked with the Board of the Community Library to develop a home delivery of books program. Age-Friendly Readfield has developed a Resource Guide, with relevant phone numbers including emergency numbers, the town office, Age-Friendly Readfield, Senior Club, the Area Agency on Aging, local hospital, Legal Services for the Elderly, ADRC, etc. The Resource Guide is in print form, along with a magnet for older residents to put on their refrigerator. Through the AARP Challenge Grant we received, we purchased bleachers for our local ball field. These bleachers make it easier for older adults and the rest of the community to watch the kids play sports. In addition benches were purchased to place at various locations on the trails. Bike racks and picnic tables were also purchased. Age-Friendly Readfield hosted an AARP Safe Driving class with our Adult and Community Education Program. We participate in local senior groups to share information, such as the Guys and Gals Senior Group. We also attend the Senior Cafe at the middle school. These are opportunities for Age-Friendly Readfield to educate the community members about initiatives and issues we are implementing. Currently, we are in the planning stages of developing informal community forums. This would be an opportunity for older residents to share information about their skills and their stories. This is based on a program in Vermont and serves as both an educational and social program. Our Senior Cafe is held at the local middle school. This event consists of morning coffee and muffins that are served by middle school students. This is an intergenerational program that is valuable to both older residents and students. The ADA accessible network of trails is an incredible asset to our community. We are proud of the AARP Safe Driving classes and are working on a volunteer transportation program. We continue to deliver sand buckets to people who request them in the winter. Our Resource Guide is an important resource for older residents to use to find important telephone numbers. Age-Friendly Readfield is featured on the Readfield town website, as well as the AARP website. A Handy Helper brochures developed to give residents more information about this program. In addition, an article is written each month for the Readfield Messenger, which is our local newspaper, to educate the community on our initiatives.